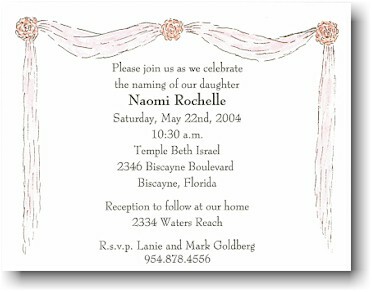 White flat card with pink "drapes" and flowers. Perfect for Baby Naming, Christening, Baptism or Communion. BMD111 and BMD112B (for name) shown. Choose any available typestyle.